So if I am not in a mood to have a defined eye on some days, I avoid using a liquid eyeliner. I am also the person who prefer to have a tone down eye make-up when I’m heading to Uni or work. And sometimes when I forget to put the eye shadows in my tiny make-up travel bag that will probably match my outfit, then this is the best life-saving eye make-up tip. How? Okay, so pick up the kohl pencil (definitely a black one) and start drawing from the outer corner towards the centre and then draw from the inner corner and joint them in the centre, make sure you stay on the eye-lashes line and don’t leave too much gap, otherwise even after you put your mascara on, there will still be some white skin showing up and we don’t want that, do we? and then pick up a eye make-up blending brush and start blending the line you already drawn, just softly keep blending from the bottom to the top and you will see this effect on the photo here. To give it a complete look, just apply some nice voluminous mascara. I use the black kohl pencil from MAC Cosmetics and this particular blending brush no. 224 is the best for eye shadow blending or even kohl blending when in need. 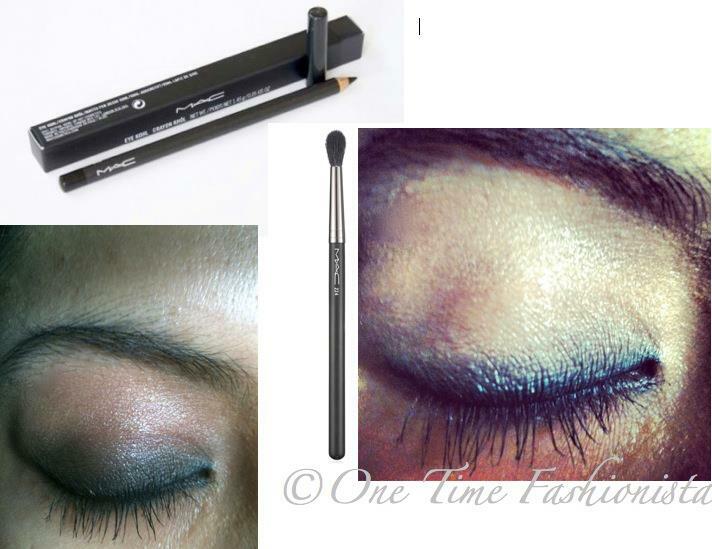 It is easy, simple and still gives you a modest smokey effect on your eyes especially when you are on-the-go!